SEATTLE, WA — June 9, 2017 – Sales Readiness Group announces that it has been featured on the 2017 list of the Top 20 Sales Training Companies that excel in helping sales leaders improve the performance of their sales teams. The list appears in the June issue of Selling Power magazine. According to Selling Power publisher and founder Gerhard Gschwandtner, sales training continues to be of paramount importance in a digital age. “We have now entered the era of Sales 3.0, which means balancing advanced technological tools with the human element of selling,” says Gschwandtner. All companies on the list submitted a comprehensive application that included a detailed listing of their offerings for both training and retention, innovative solutions and services they have developed, and their company’s unique contributions to the sales training marketplace. Additionally, they had at least four clients submit a brief survey on their experience working with the training provider and their satisfaction with results from the training effort. 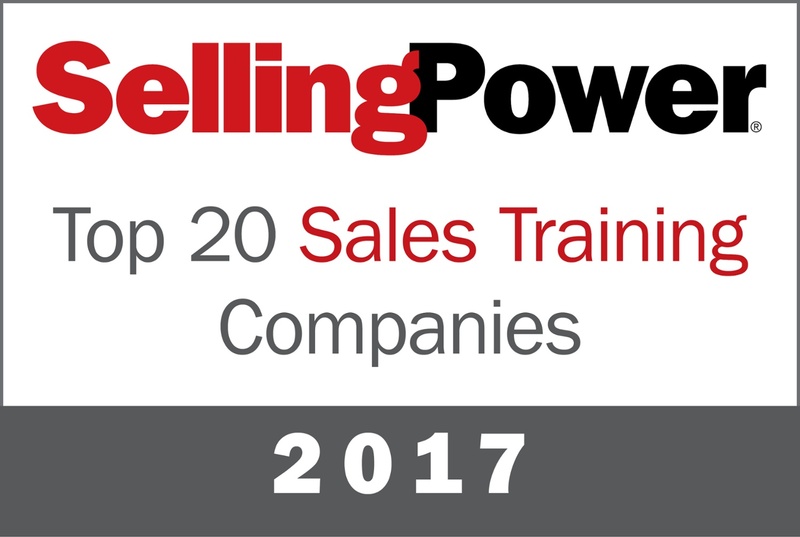 Selling Power editors say the firms included on the 2017 Top 20 Sales Training Companies list are uniquely positioned to help sales leaders create organizations that will succeed and remain competitive in today’s selling environment. Sales Readiness Group (SRG) is an industry leading sales training company that helps companies develop highly effective sales organizations. Our solutions include comprehensive sales training, sales coaching, and sales management programs that deliver sustainable skills improvement.